UPDATED 8/15/18, added a few minor details. So, just how simple can one’s vegan diet be to have full needed nutrition in a day? 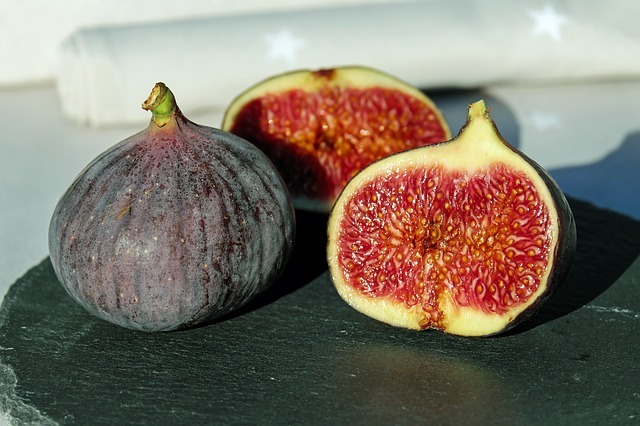 *The one pill supplement is zinc at 1/2 of a 10 mg tablet or .5 mg.
**Figs are seasonal but dried figs are available year-round, or they can be picked from trees during their season, July–September in CA, or bought fresh, and frozen for out-of-season use such as in smoothies. Fig trees are actual treasures. The VITAMIN B12 is all from the fortified soy milk. The CALCIUM is primarily from the fortified soy milk, then from the broccoli, figs, and oranges. The ZINC is mainly from the 1/2 tablet (or 5 mg) supplement, then the broccoli and chickpeas. The COPPER is a bit high at 2.8 mg, as the recommended is 2.0 mg, but the high zinc intake levels that out. The VITAMIN D is all from the soy milk; any additional needed can be gotten from sunshine. 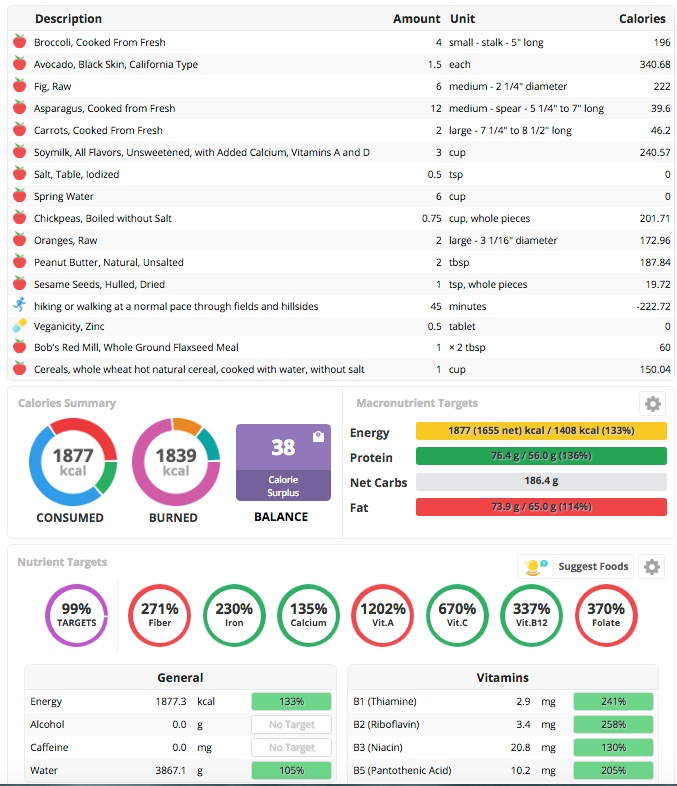 The great PROTEIN profile is mainly from the soy milk, broccoli, chickpeas, peanut butter, asparagus, wheat cereal, avocado, and carrots. 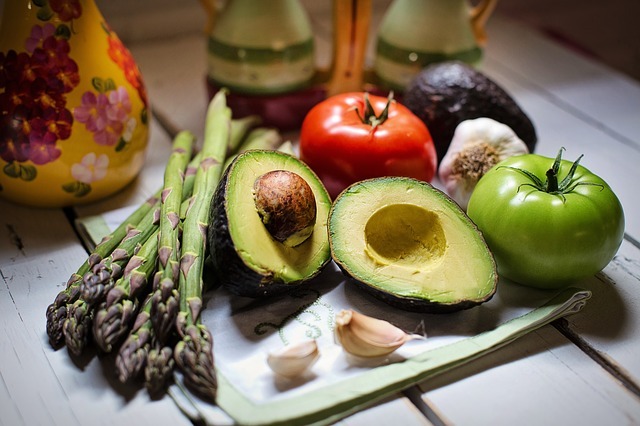 The VITAMIN K is primarily from the broccoli, then the asparagus and avocado. 801% is good because it’s said vit. K2 (as opposed to K1) need is total K multiplied by 15%, so that would equal 120% of needed K2. The SELENIUM is primarily from the wheat cereal, then the asparagus, broccoli, and chickpeas. The IRON is primarily from the broccoli, chickpeas and soy milk, then from the asparagus, wheat cereal, avocado, figs, and flaxseed meal. The great VITAMIN C intake enhances the absorption of non-heme iron from plants. The OMEGA-3 is primarily from the flaxseed meal, then the broccoli and avocado. The low OMEGA-6 number is said to be a good thing, that we need far more omega-3 than -6. The VITAMIN A is where it should be at 1202% because the vit. A need from plants is said to be 12 times more than from animal products. IODINE isn’t tracked on Cronometer, but the 1/2 tsp. of iodized salt in my list takes care of iodine need for the day, although it does make the sodium a bit high…but still lower than most people get in a day. For the SOY phobic, the soy milk can be replaced by any similarly fortified plant milk. Of course, anyone with ALLERGIES or other problems with particular foods should replace them with harmless foods with similar nutrition. …not without omitting the few processed items and being in a place where those whole foods are growing. But even without the processed items, one could get by for some time with a few other “wild” foods added. But think, could 7 billion+ people live “in the wild” at all without all sorts of technology and products? No, they could not. Everyone, even “wild man” survivalists, depends on manmade products every day. Vegans are not weird or deficient in that way, as is popularly claimed. So, any new or struggling vegans out there needing a simple diet plan, the above would be a great basic outline for one. On top of everything else, it’s fairly inexpensive. So there really are no excuses for not being vegan. Please pass this along to any anti-vegan skeptics in your life. Come on now, let’s get this thing done! Do realize that as long as there’s even one slaughterhouse (or any other such place of bloody horrors) lurking behind our “civilizations,” there will be continuing violence and bloodshed among humanity. 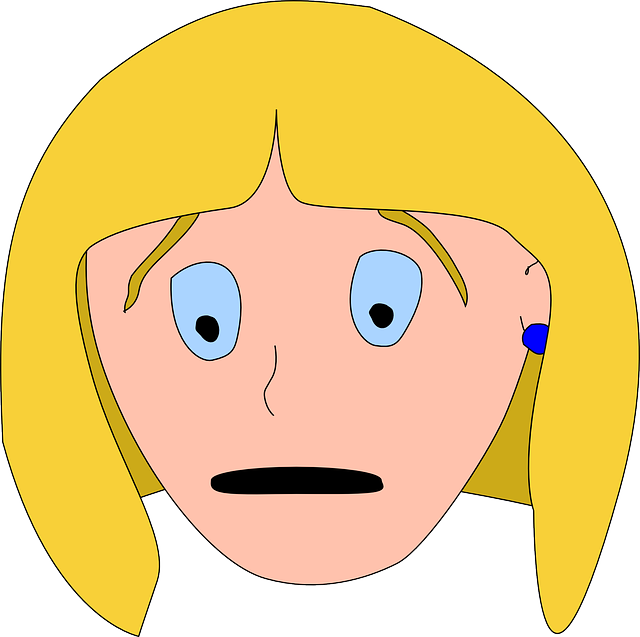 This article provides information that should not take the place of professional advice. I am not a nutrition or health professional but am sharing what I’ve learned through experience and from what I trust are good sources in regard to my own nutrition. If you have concerns, I encourage you to talk to a (vegan friendly) registered dietitian or other trusted professional about your dietary needs. Images, aside from charts, are free from Pixabay.com. SELENIUM – Easy to get as a vegan, a fact that’s very hard for anti-vegan crusaders to wrap their cute little “brains” around. Scary! Clever Jack can’t get himself in trouble there, since he’s only asking a question. Sweet. Wow, sounds like there’s great hope to save one’s life with some animal products… oh boy, we’re cookin’ now! 3) Harrison goes on to “wonder if” Steve Jobs got pancreatic cancer due to his supposed vegan lifestyle, due to his “bunny chow” diet and severe lack of this vital nutrient. 4) Jack then claims to be the one who discovered the cancer-fighting powers of this nutrient…selenium. Now his wisdom has caught on, he says, and a recent study found that selenium can slash pancreatic cancer risk to almost nil. 5) Jack then warns that you have to be a Brazil nut scarfing weirdo to survive and not get cancer if you’re a vegan, since, as everyone should know, we get proper selenium only from animal protein. 6) Then he types some drivel about our need for nickel and makes a joke about it not being the coins, and says nickel can cut your pancreas cancer risk by another third. 7) Next and lastly, Jackie espouses the importance of drinking clean, contaminant-free water to prevent pancreas problems… keeping out things like lead, cadmium, etc. Who can argue with that? So the now ex-vegan says to him/herself: Such profound wisdom and caring! Ima make me up a shopping list and visit the butcher, dairy and egg sections of the market for the first time in years. I’m gonna quit being vegan and save my life, unless it’s already too late. Wish me luck everyone, I’m back with y’all in the normal way of eating. Hallelujah! 1) No, veganism cannot cause pancreatic cancer. 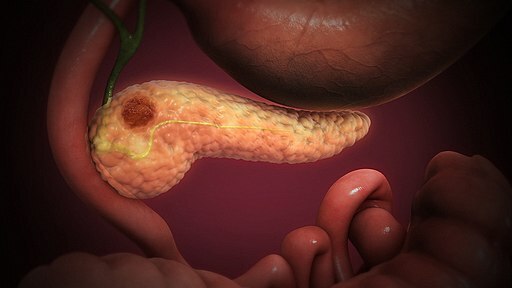 Genes, cigarette smoking, obesity, and working with certain chemicals such as in dry-cleaning and metal works (and the early computer industry a la Steve Jobs) are primary causes of pancreas cancer. 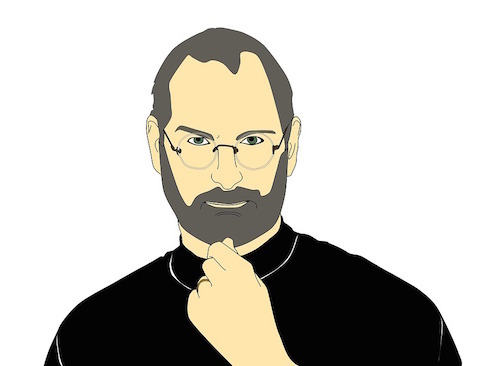 3) Steve Jobs either was or wasn’t a vegan (depending on who you listen to) and it makes no difference in this case. His possible genetic makeup and/or long history in the early days of computers…his hands-on building of them, etc…. were far more likely involved in his developing the cancer. He was closer to a pescatarian/fruitarian than a vegan. He apparently ate more fish near the end of his life under pressure from loved ones to try to save his life. It failed. If he was deficient in selenium it was due to his possibly eating all or primarily fruit for so long, since sweet fruits have almost no selenium. Foods higher in protein have selenium. 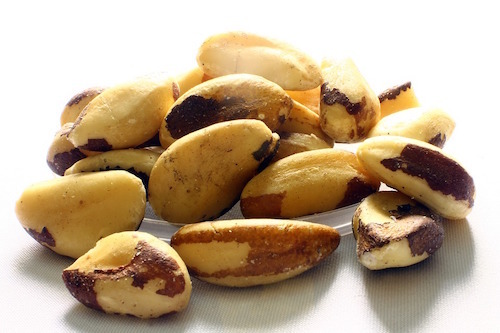 Interestingly, just ONE brazil nut has all the selenium you need in a day. 4) This Jack person sure claims a lot of credit, and I’ve not yet seen any real evidence of selenium slashing risk of pancreatic cancer by 95%, as he also claims. I’ve only seen how proof of selenium’s protectiveness against pancreatic cancer is inconclusive. I wonder if this supplement company manufactures selenium supplement. It’s quite dangerous to take selenium supplement, since it is dangerously toxic in large amounts. https://www.globalhealingcenter.com/natural-health/best-vegetarian-foods-selenium/ So getting selenium is not a problem, but look how that Jack person tried to instill all this cancer terror in readers, leading them only to animal products as their salvation. That is reprehensible! 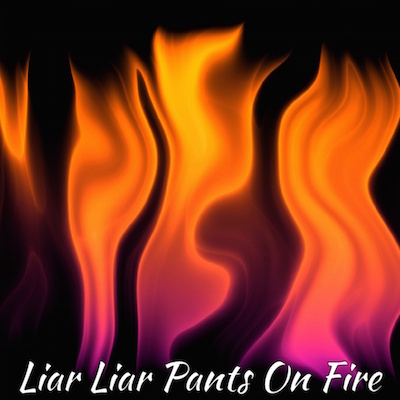 5) And yet more lies compounding the rest of the lies. 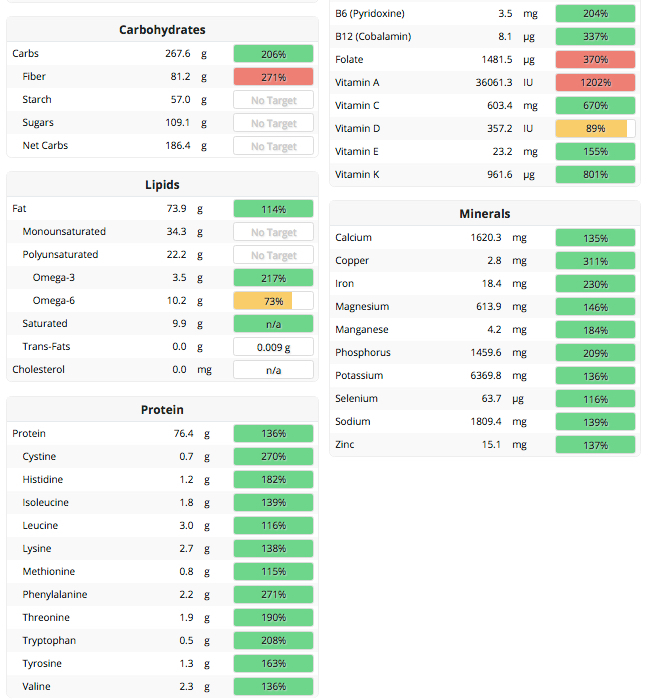 You have to really love Brazil nuts to be vegan and get selenium? Where does this guy pull his information out from?! Again, just ONE Brazil nut and you’re all set for your selenium in a day. Can those people get any more deceitful? 6) The nickel thing is neutral; all the plant foods, especially higher protein ones, contain plenty of nickel. 7) The tap water issue is neutral too; we all should use a good water filter for consuming tap water, or use good bottled water. The reverse osmosis thing he seems to require probably has something to do with their company selling them, although I don’t know that. The charcoal filtration systems like Pur and Brita do just fine for filtering out lead and other harmful things like chlorine. What all of the above says, needlessly, is that if you’re vegan and eating a normal, balanced, non-animal diet low on any junk and high on real foods, you’ve not one thing to worry about with selenium or pancreatic cancer due to your rejecting all animal products. Those fear tactics are absolute nonsense, and as usual only serve to protect and bolster the meat/egg/dairy industries. Which is despicable. But, what else is new?